Research studies and expert insight for improved sales performance. 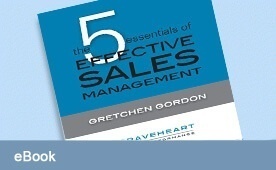 This eBook talks about the 5 specific activities that will get you the best return on investment of your time in the form of increased effectiveness by your sales team. Written by Dave Kurlan of Objective Management Group, this white paper explores the impact that the lack of trust has on influencing the buyer. It highlights the least trustworthy salespeople by industry. This white paper describes the process to be able to calculate the New Salesperson Return on Investment. It is a methodical approach to aid in effectively hiring sales talent. The paper was authored by Dave Kurlan of Objective Management Group. This eBook teaches you how to avoid making costly hiring mistakes, how to build a high-performance, revenue-generating sales team and how to create a repeatable, predictive hiring and onboarding system. 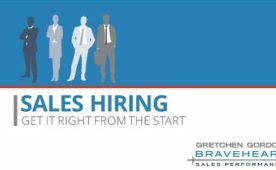 This white paper was updated in 2012 to reflect the current data surrounding what will predict success among sales hires. Dave Kurlan of Objective Management Group wrote this white paper and it also describes the methodology behind the battery of assessments his company developed.